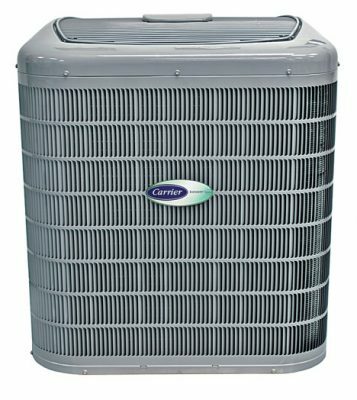 Carrier’s Air Conditioners with Puron® refrigerant provide a collection of features unmatched by any other family of equipment. Carrier® Air Conditioners with Puron® refrigerant provide a collection of features unmatched by any other family of equipment. 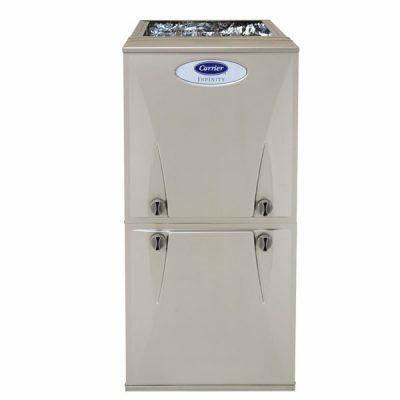 The 59SC2 Multipoise Comfort Series Condensing Gas Furnace features energy efficiency of 92.1% AFUE gas efficiency and workhorse PSC blower motor. The 59TP6A Multipoise Variable-Speed Condensing Gas Furnace features the two-stage Performance System. The 59TN6A Multipoise Variable-Speed Condensing Gas Furnace features the two-stage Infinity® System.